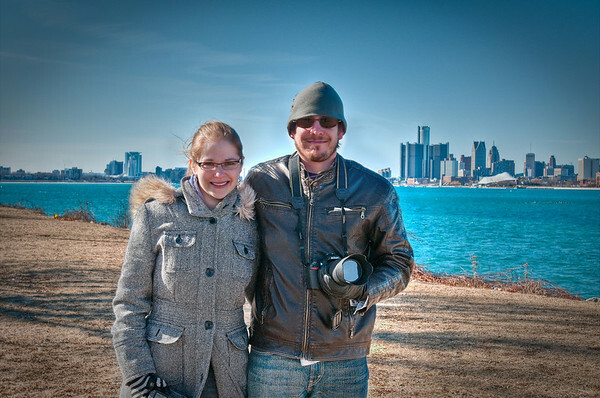 Brian and Heather at Belle Isle, standing across from GM Headquarters! 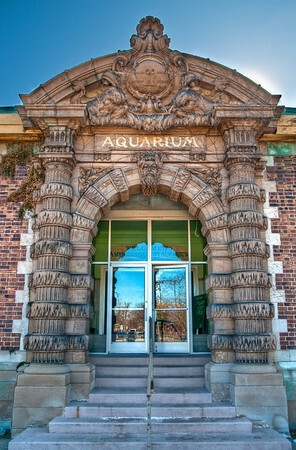 The entrance to Belle Isle Aquarium. Apparently Mayor Kilpatrick cut funding for this place and closed it down. 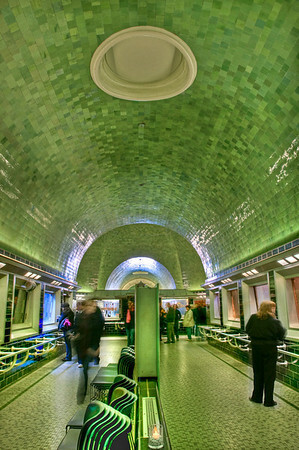 It happened to be the oldest Aquarium in the country, the only one in Michigan, and one of the top 10 best places for fish (I guess they invented some great way of taking care of them or something). So sad that it was closed. 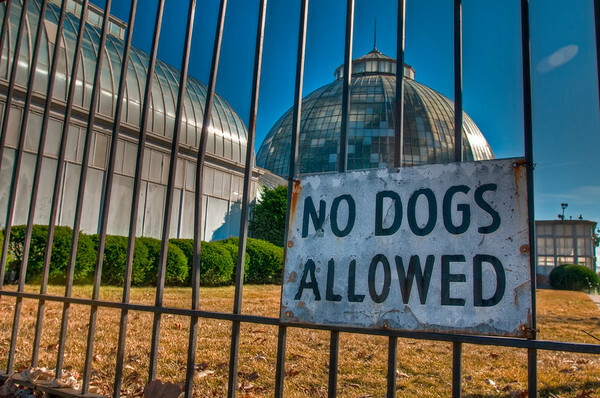 On this special saturday the "Friends of Belle Isle Aquarium" opened up the aquarium to try to raise awareness and get it re-opened. There was a great turnout and it was hard to take pictures without people in them! In this shot I had to wait quite a while for there to be no people in it. You can also see in the upper right corner that the sun was pretty bright and I had to get close to the building so that the sun would be hidden behind it! 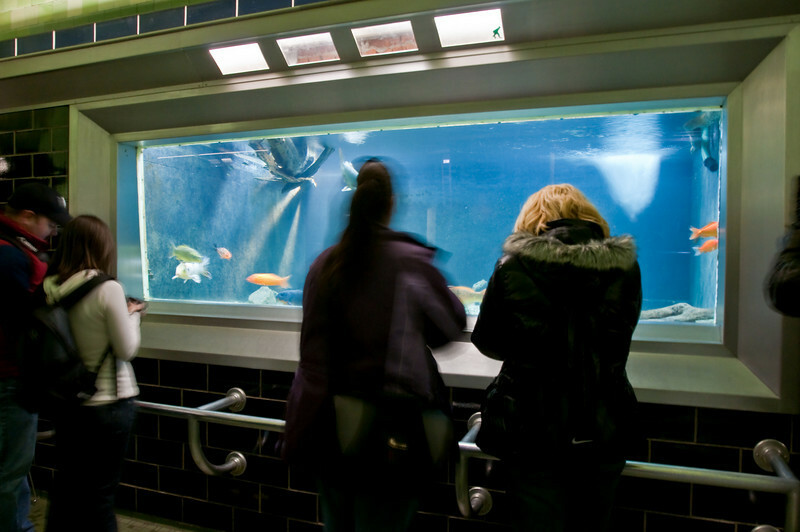 This is the opposite end of the Aquarium, looking back towards the entrance. Apparently Mayor Kilpatrick cut funding for this place and closed it down. 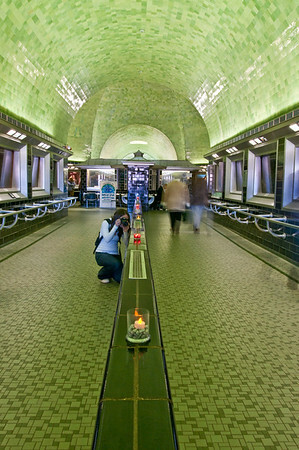 It happened to be the oldest Aquarium in the country, the only one in Michigan, and one of the top 10 best places for fish (I guess they invented some great way of taking care of them or something). So sad that it was closed. 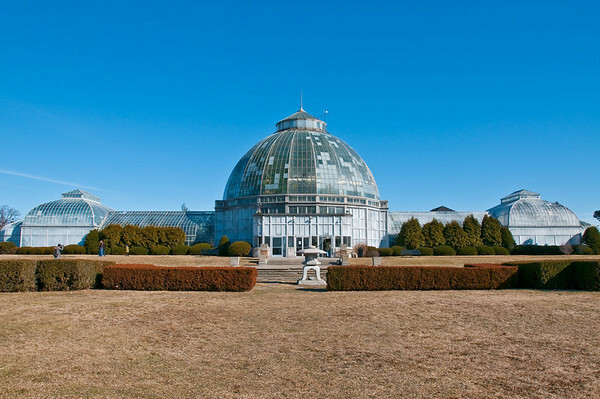 On this special saturday the "Friends of Belle Isle Aquarium" opened up the aquarium to try to raise awareness and get it re-opened. There was a great turnout and it was hard to take pictures without people in them! All the exhibits had been emptied except for this one tank still had fish in it! 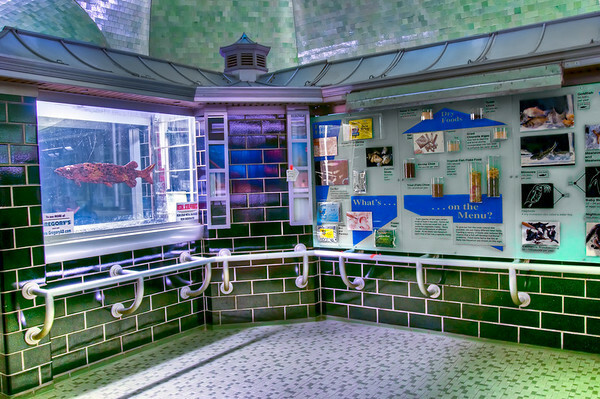 This is the center of the Bell Isle Aquarium. The basic shape of it is one long hallway with a giant circular dome in the middle. I had to wait a while before all the people were out of this shot, and then shot it as quick as I could! On this special saturday the "Friends of Belle Isle Aquarium" opened up the aquarium to try to raise awareness and get it re-opened. There was a great turnout and it was hard to take pictures without people in them! Nikon D300s w/Nikkor 17-35mm f/2.8 ED-IF AF-S: 17mm, f/14, ISO 320, hand-held HDR composed of 5 photos (3 sec, 4/5, 1.6 sec, 6 sec, 13 sec) in Photomatix Pro and edited in Photoshop. A friend of mine asked if the next photo was a single shot or if it was an HDR. 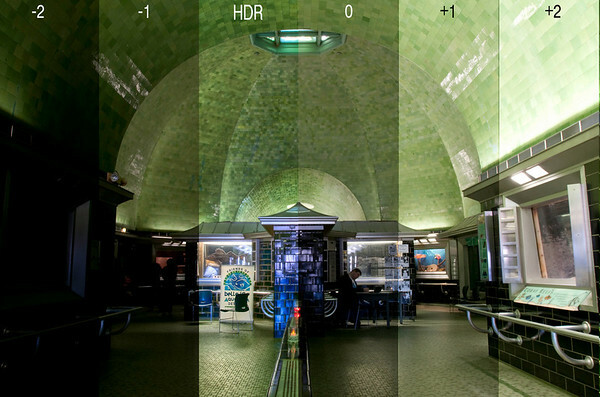 Alas, it was an HDR combined from the 5 photos above (I also included the HDR). To show you how tough the lighting was I took the shot and blended in the 5 exposures. I either got big shadows or blown highlights. Pretty much the only shots that I got from here were the HDR's. I even brought my flash in and tried to see if that would help but the ceiling was just too high and the room too big for the flash to make any difference. 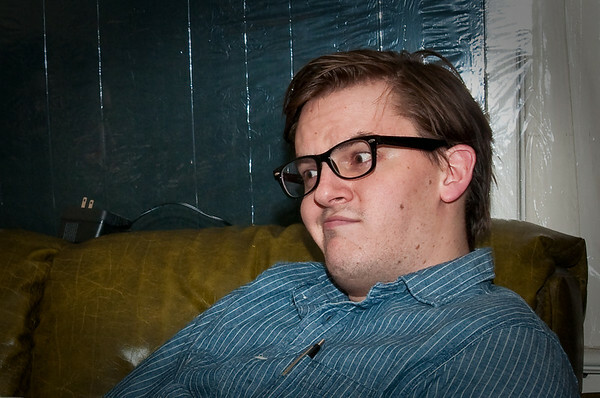 You can use the left and right keys on your keyboard to go back and forth between this photo and the next. 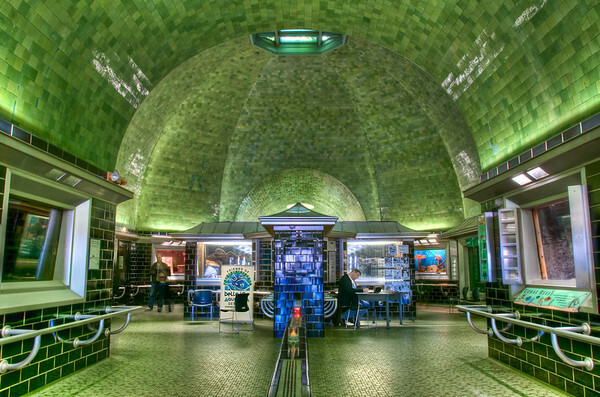 This is the center of the Bell Isle Aquarium. The basic shape of it is one long hallway with a giant circular dome in the middle. I had to wait a while before all the people were out of this shot, and then shot it as quick as I could! 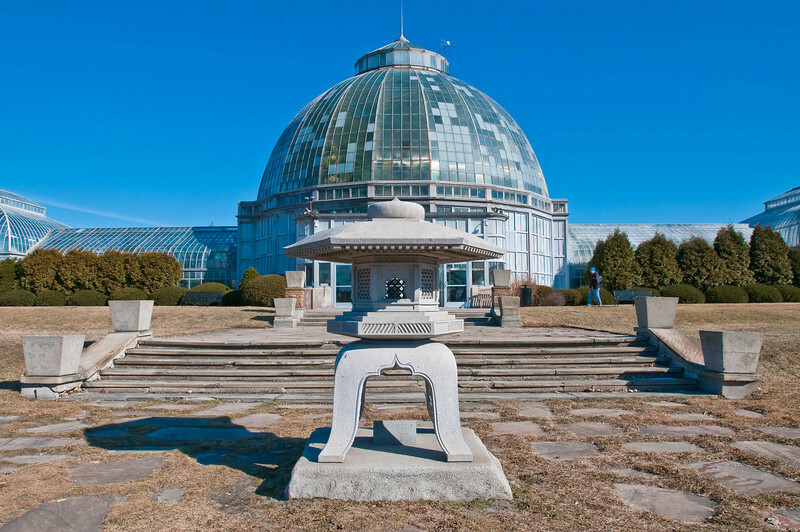 On this special saturday the "Friends of Belle Isle Aquarium" opened up the aquarium to try to raise awareness and get it re-opened. There was a great turnout and it was hard to take pictures without people in them! Nikon D300s w/Nikkor 17-35mm f/2.8 ED-IF AF-S: 17mm, f/14, ISO 320, hand-held HDR composed of 5 photos (3 sec, 4/5, 1.6 sec, 6 sec, 13 sec) in Photomatix Pro and edited in Photoshop. A couple of the info-boards in the center of the aquarium. 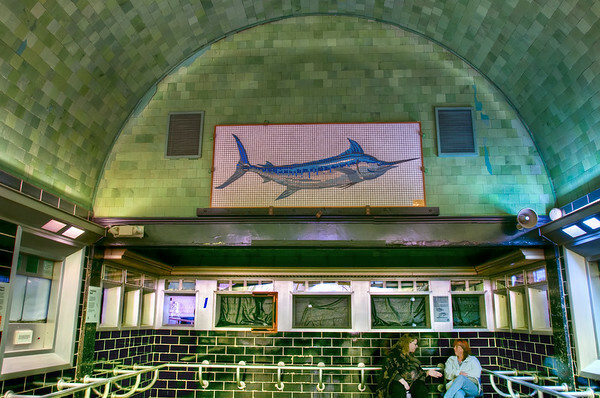 The tile mural on the end of the aquarium. 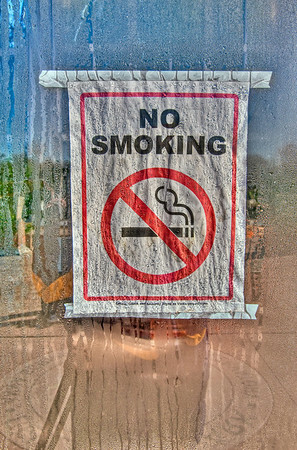 I thought this "No Smoking" sign on the entrance to the conservatory was really neat because of all the condensation on the glass. 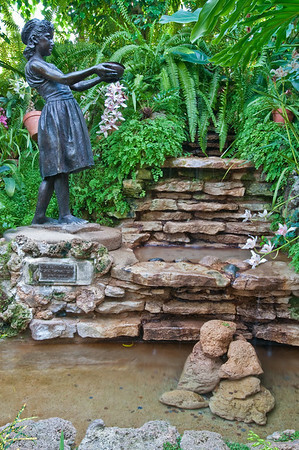 Apparently when I walked into the conservatory the ladies inside were wondering why on earth I was taking a picture of a "No Smoking" sign. Little did they know it would turn out this cool! There was a little stream here and I thought it looked awesome, but the water wasn't running fast enough for me to get a long/silky exposure on it (and I sadly hadn't brought any of my filters inside).